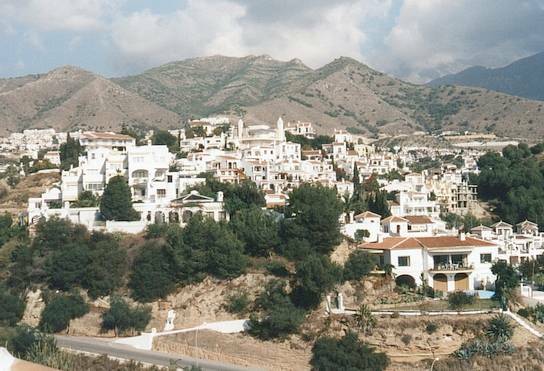 Nerja is a lovely resort on the Costa Del Sol where I spent Christmas 1998. It has managed to remain relatively free from complete Tourist-related-HighRiseSyndrome. 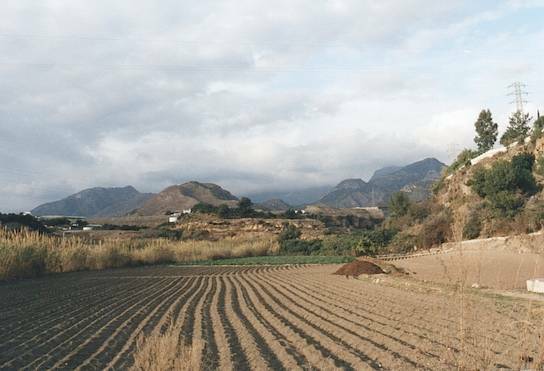 The surrounding countryside is very beautiful. Here are a few photos to keep you amused. There are more but I need to sort through/scan them. 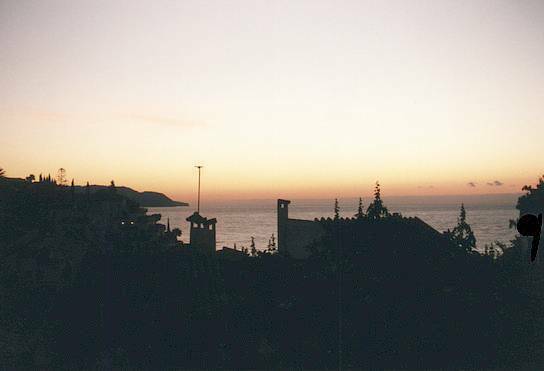 Nerja just before sunrise on the day we left. Looking North from a river valley. 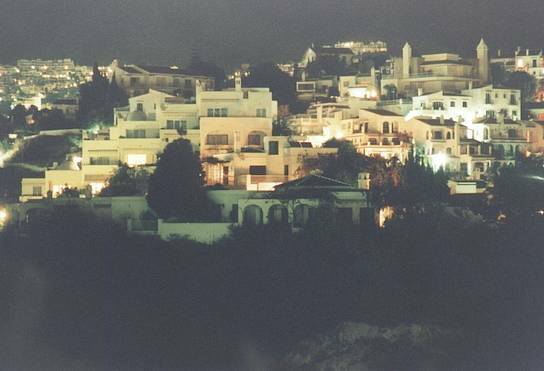 Villas on the hill at night. Villas on the hill next morning. 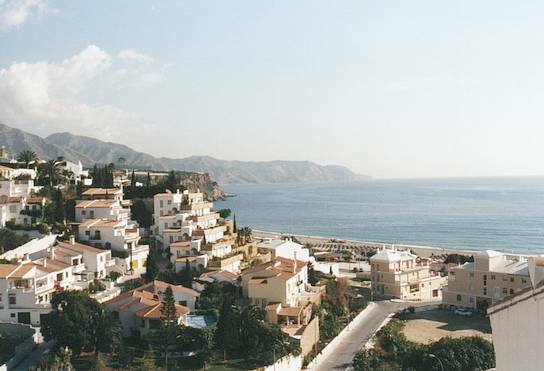 Looking from our villa to the sea.